A commenter claimed I had cherry-picked the studies I cited. But I hadn’t. I had cracked multiple learning theory textbooks. All of them covered the topic of punishment intensity. And they cited the same group of studies. Textbooks are giant literature reviews created by experts in the field. They are generally way more helpful than a study or two. I keep track of studies on the purported effects of music on dogs. I am actually fairly qualified to assess some aspects of that literature, as I have master’s degrees in both music and in engineering science with an emphasis on acoustics. I keep a list of dogs and music studies. This is a new field so you won’t find extensive coverage in textbooks. The research is still in what we might call an oscillating phase, with conflicting, back-and-forth results. Yet there is a burgeoning market of music products for dogs, most of which claim that research has “proven” that music is beneficial to dogs. That’s a stretch. And it pays to know something about the literature before taking such claims at face value. 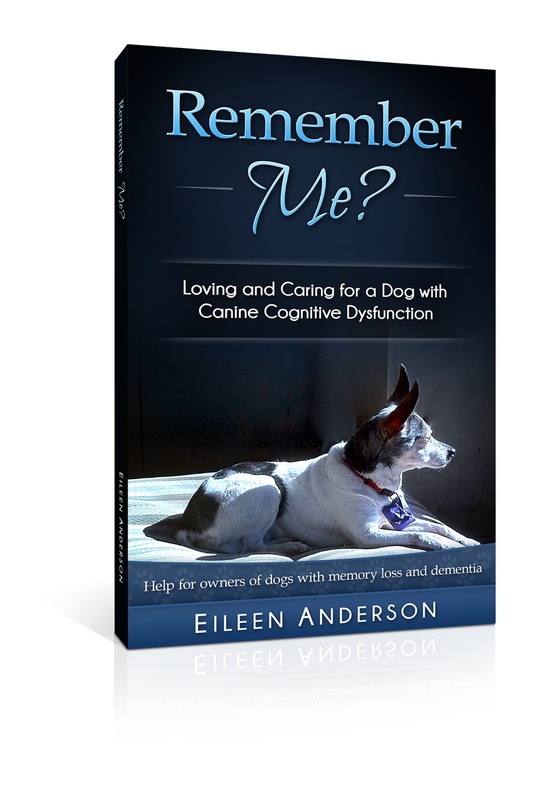 For instance, you can buy recordings of music that is specially altered for dogs. A certain brand claims that their music has been clinically proven to relax dogs and allay their fears. The product’s website cites a study. One study. But what about the bulk of the research? Is there more than that one study? There sure is. And they leave out of the marketing materials the fact that their specific product has been tested twice three times in subsequent research studies. Guess what? In both all three of the studies the product has been no more beneficial than regular “classical” music. Instead of mentioning that, they just continue to cite the older article that shows benefits to dogs from classical music. If we trace the current threads of research on dogs and music, we will see that a current hot topic is habituation. There are some studies that have shown that dogs habituate to music that is played regularly. Think about that one for a minute. Those tracks you play during every thunderstorm (if they ever did contribute to your dog’s relaxation) may have become so much background noise to your dog. The lesson I have learned here is to always, always check the sources myself. Whether deliberately or through an oversight, product marketers, writers, and private individuals often cite studies that don’t actually support their claims. In some cases, they cite studies whose results are the opposite of their claims. One company referred me to a study that found their product to perform no better than a placebo! In 2013 I wrote a blog post about errorless learning. I performed my standard research procedures and came up with Herb Terrace’s work starting in the early 60s with pigeons. My post was critical of applying his methods to dog training. The pigeons were food deprived and their training necessitated hundreds, even thousands of reps. Plus I disliked the absoluteness of the term “errorless” since even Terrace’s pigeons made errors. I published my post and a friend whose parents trained with B.F. Skinner gently showed me Skinner’s work and his suggestions about setting up antecedents for errorless learning. 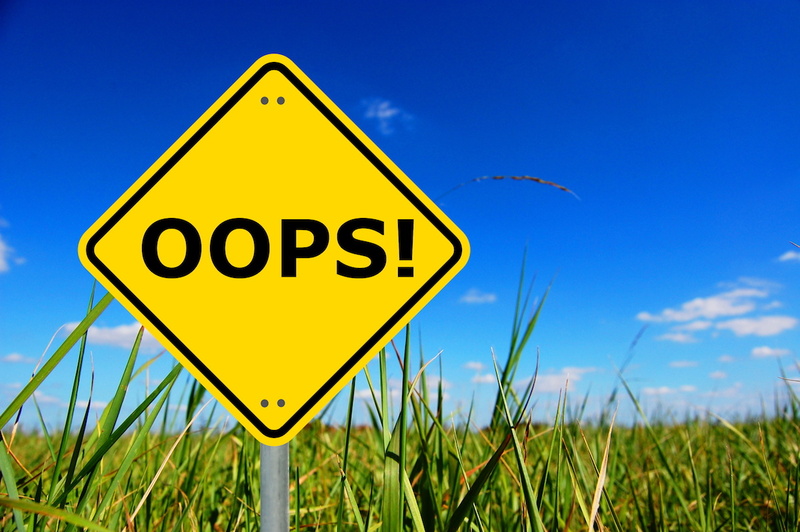 Turns out my post on errorless learning had many errors! Several decades before Terrace, there was an important discussion regarding the role of errors. The topic was important in Skinner’s work. Skinner disagreed with Thorndike, who claimed that errors were necessary for learning. I could get behind Skinner’s claims, which centered on skills and planning used by the teacher/trainer to make the learning process as smooth, efficient, and stress-free for the learner as possible. In my defense, most textbooks and scholarly discussions about errorless learning center on Terrace’s work, not Skinner’s. Terrace’s own references and credits to Skinner are skimpy. I’m just lucky I had a friend who could direct me to the right place. I published a second post on errorless learning with updated information and corrections. I left the first one published (with cautions for the reader and links to the second article) as an example of how easy it is to miss a research elephant in the room. Here’s a list of the textbooks I use most often when researching a learning theory topic. Enjoy! Cooper, J. O., Heron, T. E., & Heward, W. L. (2007). Applied behavior analysis. Pearson. Domjan, M. (2014). The principles of learning and behavior. Nelson Education. Domjan, M. (2000). The essentials of conditioning and learning. Wadsworth/Thomson Learning. Goodwin, C. J. (2016). Research in psychology methods and design. John Wiley & Sons. Honig, W. K. (1966). Operant behavior: areas of research and application. Appleton-Century-Crofts. Keller, F. S., & Schoenfeld, W. N. (1950). Principles of psychology: A systematic text in the science of behavior (Vol. 2). Appleton Century Crofts. Klein, S. B. (2011). Learning: Principles and applications. Sage Publications. Mayer, G. R., Sulzer-Azaroff, B., Wallace, M. (2018) Behavior analysis for lasting change. Sloan Publishing. Miltenberger, R. G. (2008). Behavior modification: Principles and procedures. Wadsworth. Belmont, MA. This entry was posted in Behavior analysis, Critical Thinking, Research. Bookmark the permalink. 16 Responses to When Is Citing a Research Study Not Enough? I tried to get hold of the research mentioned on the site after choosing the prosthetic option. It’s actually not a finished study or available! Bit naughty to make such a claim on the website me thinks. Masive oops moment for me. Don’t trust any site that is selling or marketing anything… even medical sites. I felt so naive for my level of trust! Its truly a minefield information out there with vested interests using words like “science says” and “research proves” Thank goodness for the Eileens who quietly write guidelines to help us improve our critical thinking skills and navigate this messy terrain. Yes that is naughty! And actually appalling… Thank you for sharing the story. I think it has happened to most of us. For masking aversive sounds, I usually recommend white noise machines or fans since music has pauses and quieter moments, etc., but I sometimes think owners might be more likely to remember to turn on the radio or put on a CD than to buy a white noise machine or set up a fan in January…. Yes, I sure have! Thanks for mentioning it. It’s another one that doesn’t tend to be promoted by the dog music producers. I’ve implemented it as well, using the website LibriVox. I play books in Russian so they don’t distract me. I have all sorts of things in the works regarding dogs and sound and music. Watch here: https://soundsensitivedogs.com Also I have a magazine article coming out in August or so next year. It will cover the best approaches for different types of sensitivity. I will keep you posted. Thanks for the comment! Thank you for introducing us to LibriVox. I had never heard of it. Wow – now I just need another 40 hours in the day…! And Russian literature – in Russian – as white noise: you are a genius! Also, I’ll be watching for your soundsensitivedogs.com site to develop. Thank you in advance for sharing your knowledge and experience. As Habi becomes more deaf, she is much less troubled by noise. Obi, our outgoing, boisterous, stable-tempered sweetie, on the other hand, is becoming more noise-sensitive at seven years, which we understand is (alas) not uncommon. And as always, thanks for including the blooper. We love that you’re human like the rest of us, and we learn from your mistakes. Thanks, Chris! And credit in turn to Jay Koes for introducing me to LibriVox. Although not fluent in anything other than English, I’ve taken a lot of language courses over the years, and with most Germanic and Romance languages there’s just enough I can almost understand that it’s distracting. Not so with Russian! I hope things go well for both your dogs. Cricket was scared of some high noises and thunder, so her going deaf was a blessing in that one way. Thank you for your kind words! The thing about textbooks is that, no offense meant, they are often knocked out in a somewhat perfunctory fashion and in most sciences it is common for them to be composed largely in mimicry of each other, rather than truly independantly. This goes for what subjects are covered in the books, what ‘the state of the field’ is represented as being, *and* what examples/evidence/studies are given. (I was a research biologist for many years, and also taught and thus had the interesting experience of evaluating textbooks and comparing them to each other to choose what to teach from, while knowing the research in the field well). Unfortunately the best, or arguably the *only*, way to really have an intelligent opinion about what studies do or do not say, or what a scientific field does or does not know at a given moment in time, is to read most or all of the original studies in their entirety for yourself, using all one’s critical thinking skills rather than merely accepting what the authors say it all means. One big thing to keep in mind when reading journal papers, for instance, is that the methods used in a study — right down to the last detail — very very often mean that the experiment or survey is not actually testing quite the same hypothesis as the authors claim. I agree with all you say here. I would go a step further and say that not only should we assess the studies ourselves, which includes being proficient in experimental design and statistics, but really, only credentialed people in a particular field should be venturing opinions and writing about findings in that field. That would include that it is far from ideal that I, with my degrees in music and engineering, write about learning theory and venture into related sciences. Quality of textbooks and the whole textbook selling system, with the high prices and planned artificial obsolescence, are big problems. If you want to make any recommendations or cautions about books relevant to trainers, feel free. I have two (older edition) learning theory textbooks that I do check for comparison but I didn’t include in my own list in this post and I don’t generally cite them. Even I can tell that they are weak and a bit strange. One even has some wrong information in it. In this day and age where anyone at all can write, publish, and viralize an opinion, my goal is to try at least to get people away from the “I found one study to support my point” syndrome. I appreciate your cautions about textbooks and research assessment. You are spot on. I dunno, have known way too many “credentialed people in field” who do not think very clearly about some aspects of their subject; and some of the best critical thinkers I’ve known have been horseshoers, librarians, etc. Music and engineering people can be just as qualified (in some ways, maybe more so, because approaching the subject with fewer biases and less personal stake in it) to think and write about learning theory etc. Yes, it takes a bunch of esoteric math to evaluate the adequacy of the statistical methods (frankly though, many academic biologists are very poorly versed in stats!). And while many experimental-design issues are evident to anyone with common sense, admittedly experience in the field helps. However in my opinion the biggest issue, which anyone willing to use their brain CAN sort out for themselves (sometimes better than those doing the research can), is the question of what hypothesis did the study REALLY test, as opposed to what the authors say. And, are the results just as consistant with some other interpretation. For instance, suppose I get a selection of pet owners to follow a careful protocol for rewarding , one group using a particular toy and one group using a particular food. And then I find that the dogs in the food group showed statistically-significant higher rates of performing the behavior than the dogs did in the group using toys. I then assert this means that food is more effective than toys in training dogs for . Well, that might be actually true; but it might instead be true that the dogs found the particular food and its method of delivery appealing whereas maybe most of them did not find the particular toy (or its method of use by the dog owners) to be especially rewarding. Or it might mean that the particular training protocol I had my subjects follow was better-suited for food than for toy use. Really, since there are gazillions of kinds of foods, and gazillions of kinds of toys, and people vary quite a lot in their proficiency in using toys, and dogs evidently vary quite a lot in their individual preferences (innate, learned, whatever)… you really cannot make such a gigantic leap from this specific study to some grand sweeping generalization. But you *know* how such a study would get cited by most people who read it. No problem! I am very pleased with your comments, and it’s a great soapbox. I like your food and toy example. A real article being discussed has bugged me for a while–the one about verbal cues for dogs vs. gestures. I need to read the study first, though, to make sure. I think their outcome is probably right (gestures are easier for dogs), but there appear to be some problems with what was being compared. I like your point about doing science in our daily lives, and I wish people would write more about that. There will always be enormous limitations on personal experience–that’s why we have studies–but learning to be good observers and think our way beyond biases is a great thing. First ,thank you for your writing in general. I’m sure you made your list as short as possible but if you had which one text (maybe 2) would pick as a starting point? I’ve read no learning theroy texts at all. 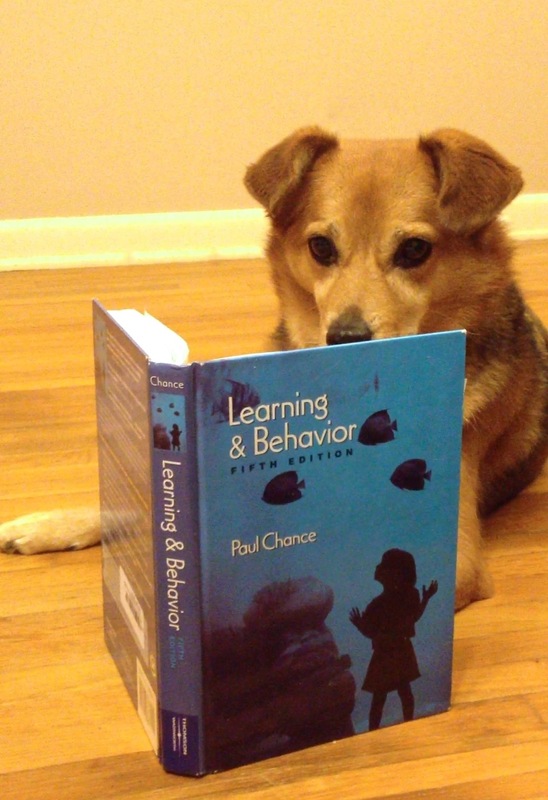 I would probably recommend the Paul Chance book “Learning and Behavior” (you can pick up a previous edition for a fraction of the cost of the newest one) for a first book. He is very readable, uses relevant examples, and is all around approachable. But the book also has great references if you want to delve deeper. I could be prejudiced because the Chance book was my first. But I do think it’s a good one. Thank you for your kind words!